Several members of the Sasse Old Boys Association in the Irish Republic queued at the Dublin International Airport and gave a hero’s welcome on Saturday to the veteran leader of SOBA UK and members of his delegation. The Dublin airport reception was a display of SOBA Ireland’s support, independence and alumni culture to the responsible leadership of SOBA UK. A key figure in the Soban community in the Diaspora, Akoh Arrey, has spent more than a decade building SOBA UK including solid partnerships with SOBA Germany, Ireland and the United States. He was elected president of the association in 2014 and he is credited with helping to develop a welfare scheme that has been beneficial to all Sobans in the UK. Cameroon Concord News Group understands that the theme of this year’s SOBA UK Convention is “Together We Succeed“, a reflection on the difficult year the association and people have had both in the UK and Cameroon. The focus will also be on the crisis in the Northwest and Southwest regions in Cameroon which has led to thousands of people being displaced and significant loss of lives. SOBA UK will be looking to assist where possible and will also be seeking support from the public. 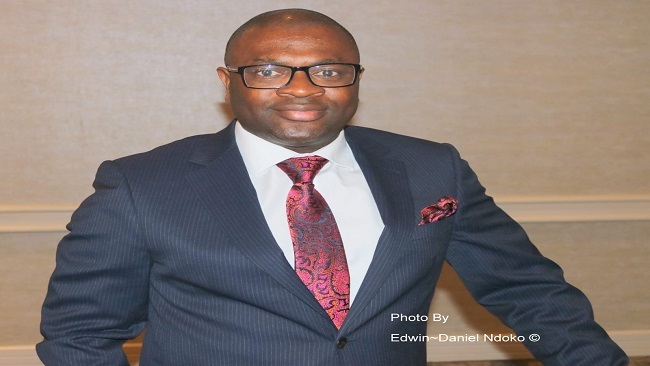 For his part, President Charles Eyombo thanked Akoh Arrey for his support to SOBA Ireland over the years and assured SOBA UK of SOBA Ireland’s participation in the up coming Residential Convention. SOBA UK President was accompanied to Dublin by Chief Batey the current Financial Secretary and the much respected SOBA UK patron in the person of Hon. Francis Suppo.